Making the right choice for your family and friends can be demanding but Mondev has got it covered with their brand new condo development, Vida LaSalle. Vida community in LaSalle is a project you’ll have no trouble getting everyone to agree on. The project location offers a unique combination of leisure, services, schools and quick access to town. 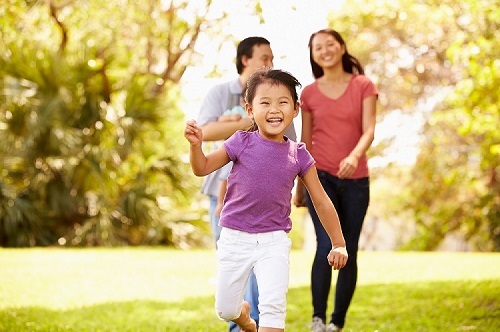 The youngest members of your family will love being surrounded by nature and private parks. For them, the Cineplex or Aquadome, water playgrounds and outdoor pools are all just steps away from home. Everything children could desire, as well as six schools, will be in a short and safe walking distance. The older ones in your family, and you, will quickly fall in love with the abundance of parks, the proximity to the canal, to sport facilities and to restaurants and stores. Spend a summery Sunday in one of a 40 different parks, or swim at one of 7 swimming pools. Enjoy a winter afternoon in one of 7 skating rinks or dress up for an evening at your neighbourhood’s own theater. The neighbourhood will become your own with its own library, sports arena, cultural centre and a shopping mall. With so many things to do, don’t be surprised when your friends won’t stop inviting themselves for a visit! Above all, in Vida LaSalle you will find a vibrant community that will share with you all the great aspects of this neighbourhood. There are dozens of community organizations in the neighbourhood and with so many activities around, your best friends could live next door. Whenever you wish to replace the green, natural surrounding with an urban night out, visiting your friends in the city or enjoy a shopping afternoon, a quick metro/bus ride will get you to Downtown Montreal within minutes. If you prefer the car, you will enjoy a quick access to Mercier Bridge and to Highways 15 and 20, ensuring easy and convenient commuting to work and back, and making your new property a great investment. On top of this location balancing a tranquil atmosphere and city excitement, Vida offers a variety of high quality condos and townhouses with one to four bedrooms, so you’ll definitely find fit for your family’s needs. Each of them can fit one or two of your cars in an indoor parking and with spacious living rooms, you can entertain your family and friends even if you wish to stay indoors! If you’re looking for a home that will satisfy family and friends’ demands, or just trying to make sure someone you love makes the right decision, Vida’s serene yet active community is something everyone will be excited to be a part of.